Heals has long been on my watch list of favourite interiors stores as a source of inspiration and, of course, for shopping! I remember first discovering this brand over ten years ago whilst on a weekend break in beautiful Brighton where I spent several hours perusing each department. The best way of describing this first encounter with Heals is to say that it was like trying on a perfect fitting shoe, which I have continued to walk in ever since! Therefore, you can imagine my delight (Graphic Designer in me now coming out) when I spotted their new website design; clean, stylish, subtle and I am so digging grey at the moment! And just when I thought this excitement couldn't be topped, a press release detailing the new Heals Autumn collection of goodies hit my inbox. As I have come to expect from Heals, the new collection is on-trend and has its creative finger very much on the pulse with a clever blend of old iconic designs and future classics. There is also a strong emphasis on the heritage of the business (and rightly so) which is now an incredible 200 years old! Some of the most exciting news is the launch of Heal's own-brand collection of lighting and, crucially, a made-in-the-UK range! 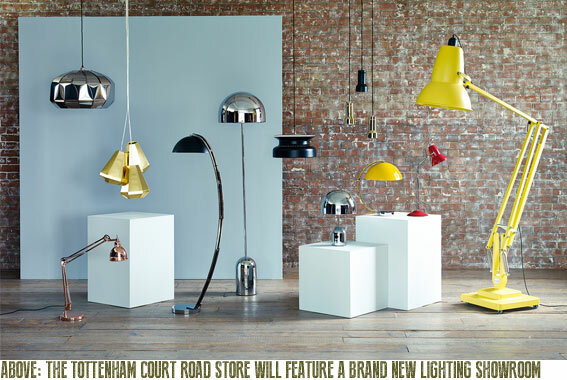 The flagship lighting showroom opens at the Tottenham Court Road store on 16 September. 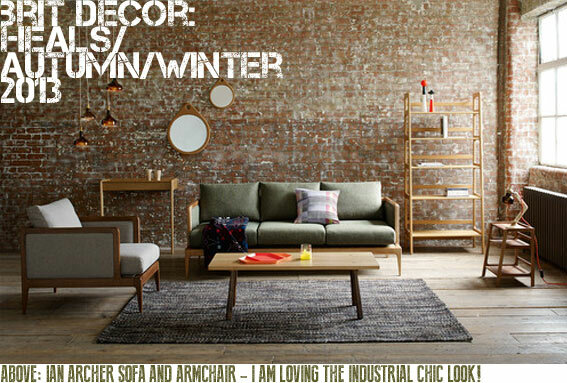 It's not often that you will hear me say I am looking forward to Winter but thanks to the team at Heals, I am now. What do you think about the Heals and their new collections? Visit the Heals website here.